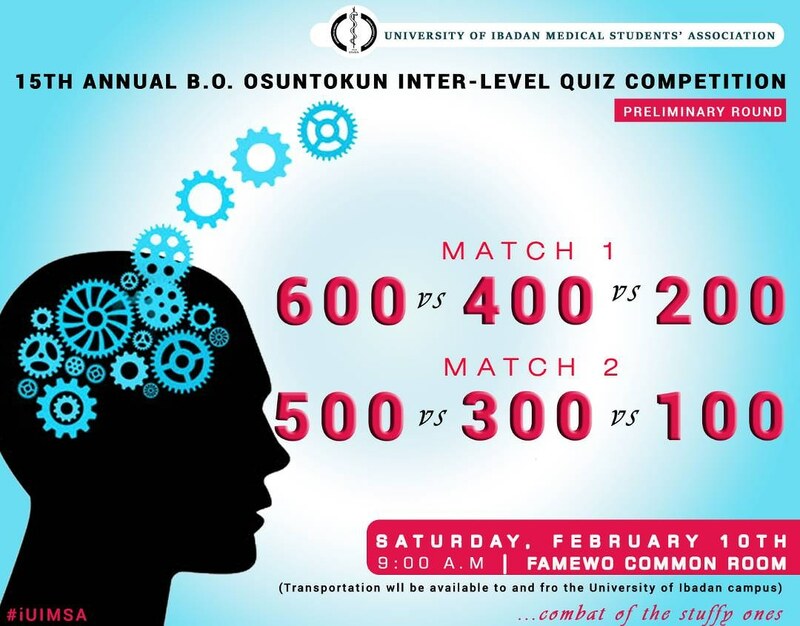 The Annual Osuntokun Quiz competition 📚 has come once again bearing gifts 🎖💰 From the realms of the general science to basic medical sciences, from Maths to general knowledge to clinical science. The so-called underdogs draw their swords🤺 against the battle-hardened veterans 👮🏼‍♂ From 100 level to 600 level. The bragging rights 💪🏽for the next academic year is at stake. Transportation to and back from UCH will be made available for those in UI.